I am not an archaeologist or expert on the Azores, but if archaeologists and historians believe that the Azores were uninhabited prior to the Portuguese colonization, then of course it could not have been Vikings that introduced these lineages directly to the Azores. In this article I examine only genetic information, which should be taken into consideration with other types of information. I-Z141 formed and diversified 2100 BC, likely in northern Germany or Scandinavia, well before the Vikings. To determine which of its lineages were spread by Vikings rather than other groups, it is necessary to look at branches that diversified during the Viking Age and are present in the Viking homelands of Scandinavia and in the places they subsequently settled. First, lets enumerate possible vectors by which NW European Y-haplogroups could have entered the Azores, in descending chronological order. By 1490, there were 2,000 Flemings living in the islands of Terceira, Pico, Faial, São Jorge and Flores. Because there was such a large Flemish settlement, the Azores became known as the Flemish Islands or the Isles of Flanders. Prince Henry the Navigator was responsible for this settlement. I-Z141 may have been introduced to Flanders by Vikings, Weser-Rhein-Germanic tribes, Celtic tribes, or it may have been there since the Bronze Age expansion of I-Z141, given that Flanders is not very far from Southern Scandinavia / Northern Germany, the presumed locus of I1 and immediate subclades. It is important to note that, according to Wikipedia 2/1/2019 - "Solid confirmation of a pre-Portuguese human presence in the (Azorean) archipelago has not yet been published. " So it would seem unrealistic to assume Viking colonization of the Azores unless we have very strong Y-DNA circumstantial evidence. A196 and children FGC19077, A1395, Y6900 with TMRCA 1700 BC. Note that FGC19077 is being pulled to central France due to the Azorean subclade. Consequently A196 is pulled to northern France from a perhaps more likely N German / Scandinavian origin. I will try to improve the algorithm in a subsequent update to better handle this kind of data. Now let's examine A14984, the most diversified subclade of I-Z141 with Azorean presence. Given that all three Azorean samples have a TMRCA going back to only 175 years ago, we cannot yet infer a presence in the Azores dating back to the Flemish settlement let alone back to the initial Portuguese settlement. So it could have been introduced along with the Portuguese, the Flemish or later. Its siblings are basal FGC19077, a Swede and a German who, along with these Azoreans, share a common ancestor who lived 1950 years ago. This geography, encompassing Scandinavia and Central Europe, and the timing of the diversification more closely fit the Great Migrations of Germanic peoples throughout the Roman Empire than it does the Viking Age. Coupled with the lack of hard evidence of pre-Portuguese settlement, the Viking case seems weak. While it is interesting to note that Norwegian house mice may have been introduced to some Azorean islands by Vikings, the modern Y-DNA circumstantial evidence is not strong enough at this time. Instead, I will address the remaining theories - Flemish vs Portuguese colonization. If the ancestors of these Azoreans came from 15th Century Flanders, it would mean that the ancestors of A14984 entered into a bottleneck in their Scandinavian/North German homeland starting around 100 AD. Then they moved to Flanders either immediately as Weser-Rhine-Germanic speakers or later as Vikings. It seems less likely that they were there already in Flanders at that time as Celts given the presence of a sibling in Sweden, which lies outside the core Celtic area. Unless all their kin died out in Flanders or nearby, we should eventually find A14984 in or around Flanders, especially in the communities where Henry the Navigator recruited colonists (or also in Scandinavia if they had been Flemicised Vikings) and not in mainland Iberia (because they went from Flanders to the Azores, bypassing Iberia). On the other hand, if the ancestors of these Azoreans instead came from Portugal during the Portuguese colonization, we would expect to find A14984 in mainland Iberia. In conclusion, since at present we lack diversity of A14984 in all three regions of Scandinavia, Flanders and mainland Iberia, I do not conclude that one or the other theories is more valid. But direct Viking origin seems like more of a stretch than either of these theories. FGC19077 has two other siblings. A1395 is confined to the British Isles with no presence in Scandinavia. However its TMRCA lived 900 AD and has three lineages in Scotland, Wales and the Isle of Man. These regions are not all especially known for Viking colonization, so while the timing of the expansion fits the Danelaw, this could have been a native British haplogroup which had migrated to the British Isles during the Bronze Age. The other sibling Y6900 is quite diverse, yet appears to have not originated in Britain. 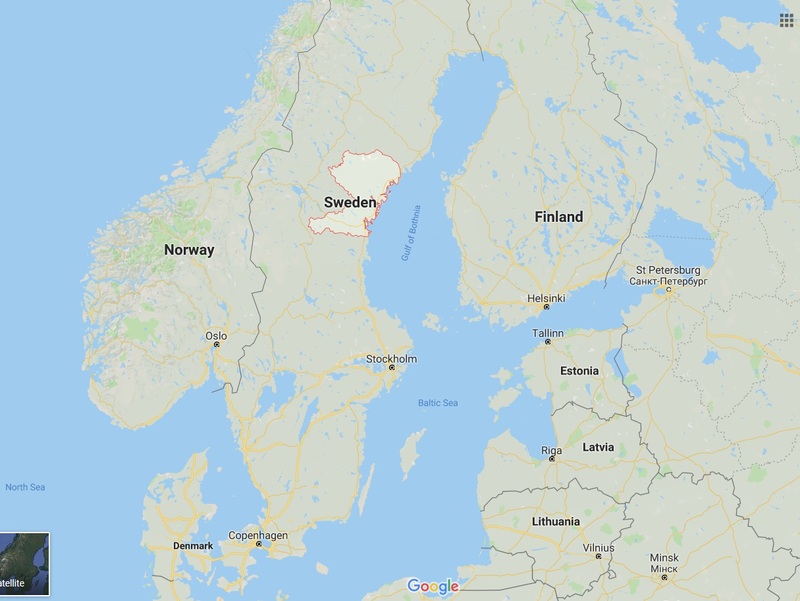 Only Y6885 appears British in origin, which diversified in Scotland and England during the Danelaw after emerging from a 2000-year bottleneck since diverging from its sibling in Västernorrland County, Sweden in 1300 BC. This period was a time of upheaval with the Tollense River battle in Baltic coast Germany and the Bronze Age Collapse of Mediterranean civilizations. It seems likely that Y6900 may have been a Scandinavian, some of whose progeny may have been involved in Germanic and Slavic peoples' ethnogeneses, some of which may have occurred during the Viking age though the earlier diversification dates in central Europe of some subclades point to Migration Period Germanic tribal affiliation. This is not unexpected as the ancestors of these West and East Germanic-speaking peoples are assumed to have lived in Scandinavia. Another Azorean subclade of I-Z141 is Y15150>Y31062. This subclade has little diversity and just two geolocated samples, from the Azores and Peru. Knowing whether the Peruvian's ancestors came from the Azores or from mainland Iberia would be informative. Interesting. The Irish monks likely found and settled the Azores in the 5th century AD, as they had islands listed in the area called, “Ui Breasal” – called after one of the monks on board. This name was later applied to Brazil. My father in Ireland (100% Irish) has a Mayan distant relative in Guatemala, who is Y-DNA I1. Also both North and West Scotland and Isle of Man had heavy Viking ancestry, and South Wales has some too. Ireland otoh has Norwegian Viking (aka Norse) ancestry throughout, estimated at 20% on average, higher than anywhere in Britain, except for The Orkney Islands, which are about 50% Norse. Hi Hunter. I do not believe Y5497 has any particularly strong links to Flemish people . The Germanic candidates for spread of Y5497 I believe are Low Saxons / Angles / Scanian Swedes, Geats, Jutes & Danes. There could also be a sister Portuguese clade at Y18586 tested via Brazil. This could also be Vikings to coastal Portugal since it has not been found in Spain to date. I myself am A196> Y6900>Y7140>YP1081>A6026 with origins from Czechia and have long suspected a Southern Swedish / Danish origin for my line based on where the distribution of current ftdna matches disperse from. Remember that Southern Sweden during Viking times was part of the Danish homeland and spoke east Norse just like Denmark itself. So if someone from Scania, Blekinge or Halland raided along the Frisian or Flemish coast it is likely at that time he would have been called a ”Dane” because they identified with Danish culture & language. Nowadays these regions are part of Sweden so on Yfull and ftdna Scanians, Blekingers and Hallanders show as Swedes. I also agree that the isle of Man subclade could also be Viking or at least Norse based on the lack of widespread matches in the UK mainland plus the very compelling timing of the common ancestor of many clade members. Also the Manx I1 members believe they are descended from Vikings and not from Angles and Saxons which is also important in the story as their surnames do not show any affinity to AngloSaxons or other Germanic tribesman. The Isle of man project notes also conclude Viking origin for A1395. I have an article on the Vikings in Wales by Henry Loyn (1976 Cardiff Uni) which links in with the Isle of Man story as the Irish sea at that time was very much part of the Norse Gael culture & trade between Denmark/Norway and Ireland , Scotland and Wales. Many people do not associate the Vikings with Wales but they certainly left their mark along the UK west coast , Isle of Man, Ireland, Wales and other places. Thanks for your article and I look forward to seeing more of the A196 story come to light as more people test. It will be interesting to see, as we accumulate more samples, if these Manx turn out to have been Viking descendants or not. By the way, I was not implying that Y5497 had Flemish links. I only explore the possibility of Azorean subclade A14984 as having possibly been Flemish, because apart from the Portuguese colonization of the Azores, the next historically established colonists were Flemish. I did state that there are no DNA samples of A14984 in or near Flanders at this time. Also, please go ahead and link your relevant research if you want. 1. The surname Kaighin is of Manx origin and derived from MacEachan, or in Gaelic, son of Each-donne (brown horse). I can trace my direct ancestry to John McCaghyn who was born in the Isle of Man around 1440. His grandson Gilchrist McCaighen is the MRCA for every living Kaighin. There is documentary evidence that shows the surname as early as 1422 in the Isle of Man when one Finlo McCaighen was executed for insurrection. He was likely a close relation of John McCaghyn. 2. Most Manx “Mac” names dropped the “Ma” leaving the phonetic “K”, so most former Manx Mac names now begin with “C”, “Q” or “K”. This occurred almost universally between 1560 and 1580. This is when McCaighen became Kaighin. 3. I have tested members of all 11 current branches of the family to 111 STR markers and Big-Y. The Kaighin branch defining SNP is A5554 which is attributable to Gilchrist McCaighen. 4. Our nearest relation outside of the Kaighin cluster is a Robertson who traces his earliest known ancestor to Ayrshire. 5. STR mutation frequency analysis suggests a TMRCA for the Kaighin / Robertson MRCA (SNP Y48695 / Y48696) to be about 1350AD (~670YBP). This is well within the time frame of patronymic surnames, but we haven’t been able to determine why the surnames are not associated. The Robertson line can only be traced back to the mid 18th century. 6. Eachan was a common given name in the Gaelic speaking world, so it is likely that the surname MacEachan and it’s etymological equivalents developed independently many times over in Scotland and Ireland. 7. Galloway, which lies directly to the north of the Isle of Man was known since at least the time of Ptolemy for breeding and training horses. The surname MacEachan and phonetic equivalents were very common there up to the last century. The same can be said for Kintyre. 8. In the Isle of Man, the Kaighins were long known as “Mannanan’s Horsemen”. (Mannanan mac Lir was a mythical sea god according to Irish and Manx legend). The MacEachans of Kintyre also had the same sobriquet. We are currently exploring the possibility that the first MacEachan(s) arrived in the Isle of Man in between 1313 and 1316 when Robert the Bruce attacked the island, and then granted property there to his supporters. He was known to have circumnavigated Kintyre just prior to the attack in 1313, likely recruiting men for his intended campaign in Man. The following is from an email recently received from a prominent Manx historian who suggests that Bruce intended to return in 1316 and may have granted land in Man in that year as well. Another theory put forth by other members of the family, and which may hold some weight, suggests that the first MacEachan(s) arrived in 1098 from Galloway. In that year, the Chronicles of Man state that the Viking king Magnus Barelegs “compelled the men of Galloway” to bring timber to the island to help build the fort at St. Patrick’s Isle (later the site of Peel Castle). Who these men were has been lost to time. Of these two theories, I think the former to be more likely due to the reasonable timeline for the Kaighin / Robertson MRCA, as well as the sobriquet “Manannan’s Horsemen” applied to the MacEachans of Kintyre, and Bruce’s likely recruitment of men from there. None of this helps narrow down a Viking connection however, and the only way we’re ever going to do so is to find more recent matches with good paper trails. So we wait. That’s an amazing amount of work you’ve done there Greg. Really impressive. For connections to possible Viking / Nordic settlement in the Kintyre region it will be interesting to see if there are continental / Scandinavian matches at A1395 who may form the original population from which your line is based. Something I think that has held back progress in this area is the very low rate of testing in Denmark – population 5.8 million. It is an ultra important place I believe for all Z140 and particularly for A196 yet there are only 1000 Danes who have even tested for Y37. Even fewer , probably around 500 at Y67 and of these only a handful seem to have done any SNP testing. Compare this with Sweden , pop 10 million & has 6600 Swedes at ydna37 and even 3997 at Y67. Adrian, disregard the connection in that report of my family to the Casement, Looney and Karran families. That was a mistake on the author’s part. So as per my line at A196>Y6900>YP1081>A6206 which looks like it crossed the Baltic/Kattegat down to Lower Saxony , Prussia & then down to Czechia and Southern Germany. So if your connections are Norman they can still be essentially Danish in origin as the key Scandinavian influence in Norman French seems to be from Denmark and not Norway as previously thought. There is linguistic evidence in Norman French to corroborate this through study of patterns in grammatical structure of speech. Love all this research . YSEQ has completed their analysis and found nothing further currently than Y6900. I am pretty certain my A196 Y6900* Y-DNA from the Mendes line is Visigoth as Mendes (Hermengildo) is said to be of Visigoth origin though some Sephardic Jews also adopted the name. Hunter’s tool is interesting. I think there is something to the theory that the Goths started in Gotland and traveled South to Poland and on down (picking up some autosomal DNA) through eastern Europe then pushed by the Huns landed on Rome’s doorstep. Then moved to Gaul then iberia. 2) Mainland Iberia has tested equally and the descendants of the Visigoths moved to Portugal then to the Azores. You can see the other Y6900+ clades have Yfull & ftdna members in the UK , Northern Sweden, Northern Germany and Denmark. Ultimately I believe it’s hard to see any other homeland for Y6900 other than on the pivotal waterway junctions of Kattegat, Skagerrak & Baltic, which is why you have clades in all the connecting territories surrounding it in all directions. Looking forward to seeing this dna testing of individuals connecting up with real archaeology and historical events one day. It’s an exciting time for genetic genealogy for sure.